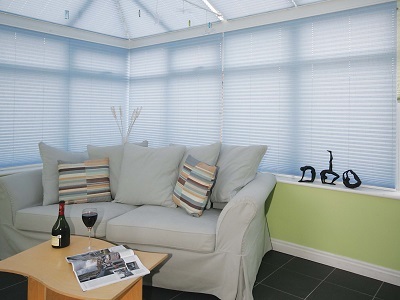 All our conservatory roof and window blinds have a 5 Year Guarantee as standard. 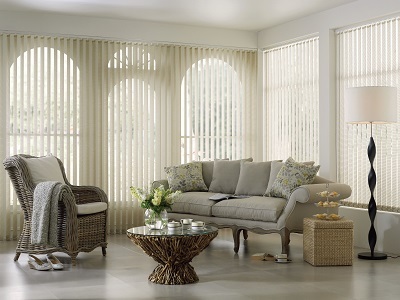 Should there be any faults with your conservatory blinds within 5 Years from the date of installation we will attend your home to rectify any problems. 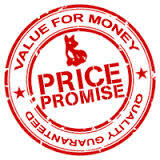 We offer excellent value for money and we believe on a like for like basis we cannot be beaten on price so if you receive a lower quotation please let us know and we will endeavour to not only match it but beat it by up to 10%. 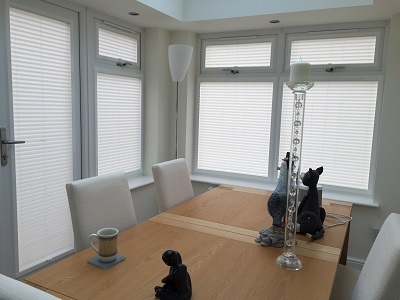 Perfect Fit blinds – a revolutionary stylish and versatile system of window blind which fits flush within an all-round frame and requires no drilling. Find out more…. Intu-design blinds– the perfect answer for the modern tilt and turn type of windows and UPVC doors that are now commonly found in conservatories. Find out more…. 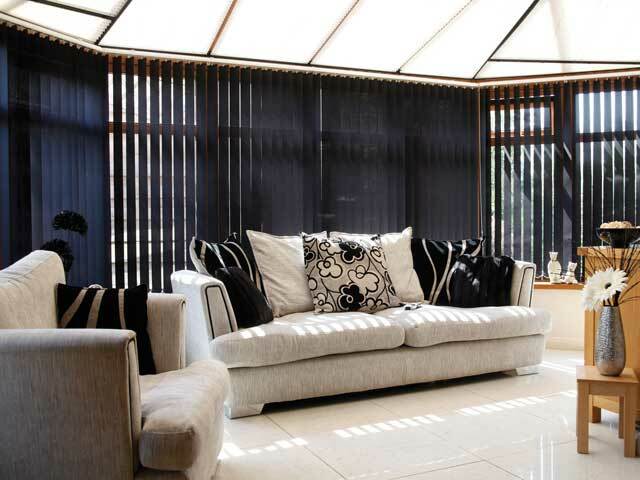 Pleated blinds – available as freehanging rectangular or shaped and can be ideal for conservatory gable ends. Find out more…. 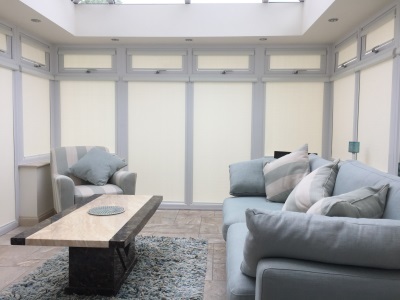 Vertical blinds – offering excellent control of the heat and sun entering a conservatory so reducing heat gain, glare and protecting furnishings from fading. Find out more…. 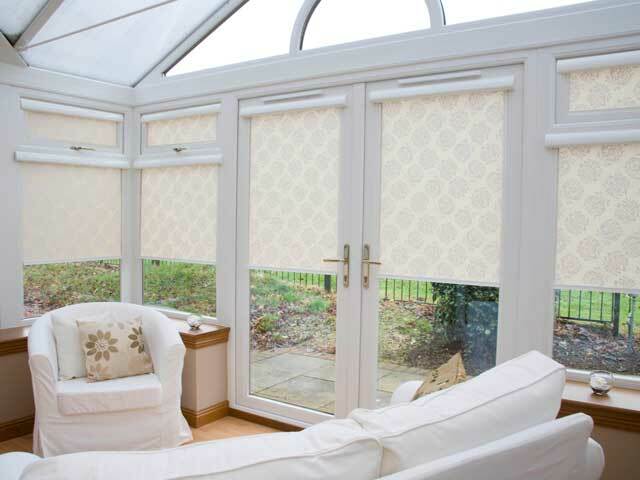 Roller blinds – a sturdy robust blind ideally suited for conservatory windows & doors and which allows continued use of window sills for plants, ornaments, etc. Find out more…. 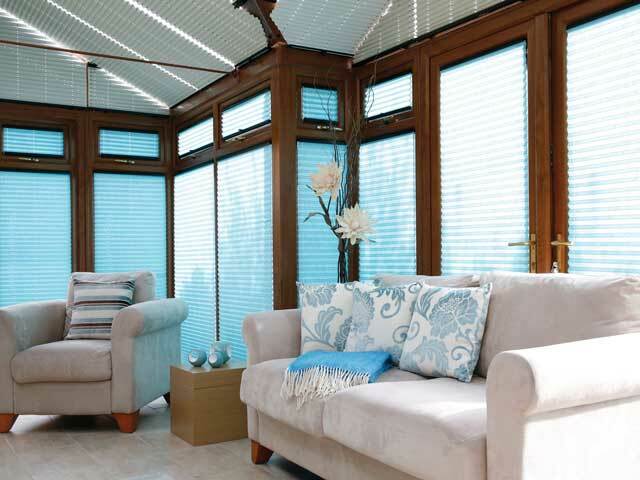 Motorised blinds -are now becoming more affordable and commonplace. 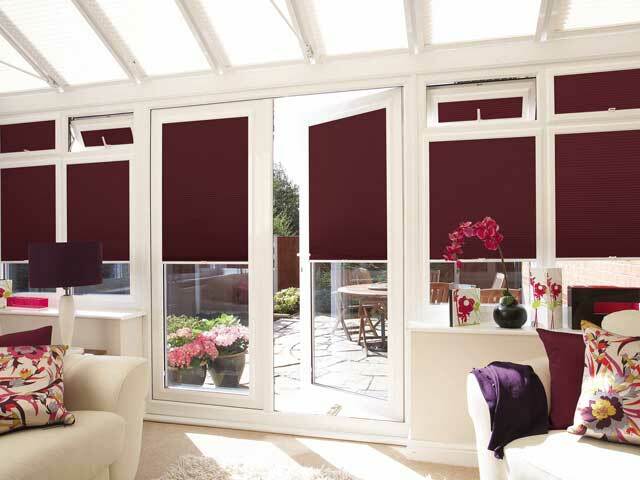 Operate all your conservatory blinds at the touch of a button. Find out more…. 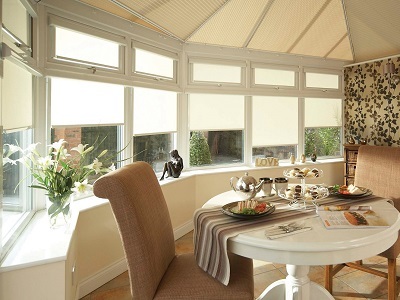 Listed above are the most popular blinds for conservatories but for the complete range of conservatory blinds we supply please click here. 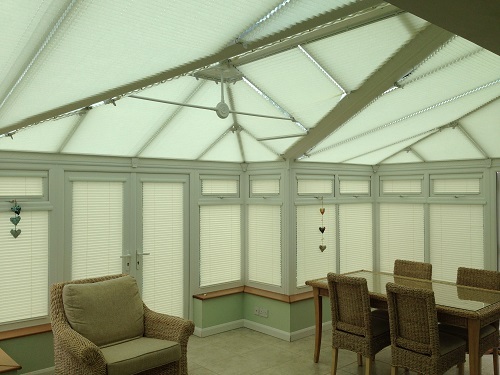 Are you also considering conservatory roof blinds? 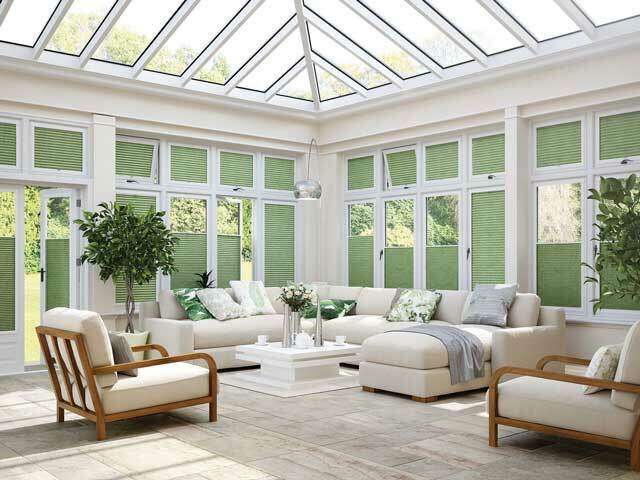 If you are also considering having conservatory roof blinds have a look here at our comprehensive range of pleated, roller and pinoleum conservatory roof blinds.